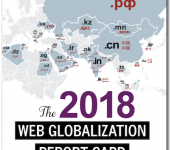 I’m excited to announce the publication of The 2018 Web Globalization Report Card. This is the most ambitious report I’ve written so far and it sheds light on a number of new and established best practices in website globalization. 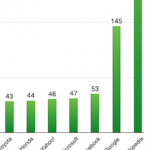 For regular readers of this blog, you’ll notice that Google was unseated this year by Wikipedia. 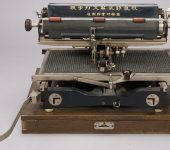 Wikipedia, with support for an amazing 298 languages, made a positive improvement to global navigation over the past year that pushed it into the top spot. 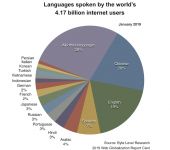 And Wikipedia, due to the fact that it is completely user-supported, indicates that there is great demand for languages on the Internet — and very few companies have yet responded in kind. Google could still stand to improve in global navigation, as could Facebook. 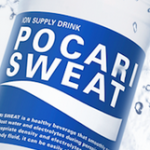 Consumer goods companies such as Pampers and Nestlé are a positive sign that non-tech companies are making positive strides in improving their website globalization skills. 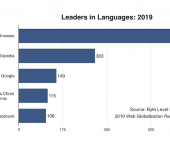 As a group, the top 25 websites support an average of more than 80 languages (up from 54 last year); but note that we added a few websites that made a big impact on that average. Luxury brands such as Gucci and Ralph Lauren continue to lag in web globalization — from poor support for languages to inadequate localization. 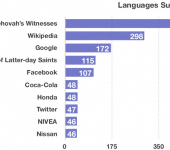 The average number of languages supported by all 150 global brands is now 32. The data underlying the Report Card is based on studying the leading global brands and world’s largest companies — 150 companies across more than 20 industry sectors. I began tracking many of the companies included in this report more than a decade ago and am happy to share insights into what works and what doesn’t. I’ll have much more to share in the weeks and months ahead. If you have any questions about the report, please let me know. Congratulations to the top 25 companies and to the people within these companies who have long championed web globalization. John is co-founder of Byte Level Research and author of Think Outside the Country as well as 14 annual editions of The Web Globalization Report Card. He is also co-founder of Ashland Creek Press. Is your vendor putting your international business in jeopardy? 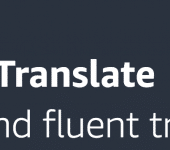 The internet may connect devices, but language connects people. Going Global 101: Develop a Smart Global Expansion Plan for Your Brand and Website Join me on Skillshare. More classes to come.